Do you have a burning desire to crush it in your Network Marketing business but you just don’t know how to overcome the fear of failure and rejection? Fear in business can be debilitating and keep you stuck. As a successful 7-figure income earner, I’m no stranger to fear. 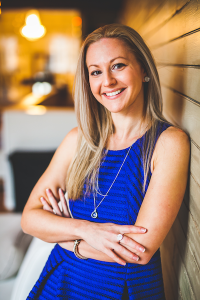 As a matter of fact, overcoming the fear of failure is still something I work on in my business, yet how I handle this might surprise you and could very well be the catalyst to helping you overcome your fears. The majority of Network Marketers are afraid of failing, afraid of investing money, afraid of rejection, afraid of success, afraid they’re not good enough or bold enough…and the list goes on. Trust me, I get it. I’ve struggled with how to overcome fear of failure in my own business, and to be honest with you, I still have a certain fear that I’m working on. In the video below I share with you what that fear actually is and the strategies I use to get past it and not let it slow me down. Today’s episode is going to be a game-changer for your business. I’m going to be teaching you how to overcome the fear of failure and rejection. Fear can actually be your greatest ally if you learn what I’m about to teach you today. 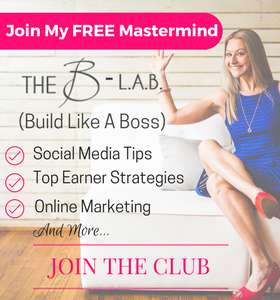 Because I love to see network marketers succeed in their network marketing business, I’ve put together a FREE resource that you can download and implement inside of your business right now. I’m giving you my 20 skills and Resources to help you increase your skill set and value, which will, in turn, help you overcome the fear of failure. Grab this week’s Free Resource and start crushing those fears so you can become confident in everything you do in your business. Being in Network Marketing is a way of life that offers unlimited possibilities, but we must first develop the right mindset to help us overcome the fears that can hold us back. I’m going to share with you three strategies that I use to help me get past my fear and keeps me moving forward towards success. One of the things that taught me how to overcome fear is redefining my relationship with fear. I’ll give you an example. Let’s say you have a fear of failure. Most of us are afraid of failure because we have been conditioned to think that failure is a bad thing. Most of this conditioning was given to us in school or the environment we grew up in. For this reason, as adults, we carry that conditioning right into our business. But what if I told you that failure can be your greatest ally? It can. All you have to do is relabel and redefine your failures. Anytime I encounter a so-called failure, I actually get excited. I’m like “bring it on!” I know that overcoming my fear of failure is essential to my growth and success. Change how you experience failure and you essentially change your life. If you are fearful of failure and try to avoid lessons and experiences contained in failure, you will deprive yourself of fully engaging in your business and actually living out the life of your dreams. The second strategy is to replace your current fear with the actual consequence of not achieving your goal. I had to do this myself when I retired my job as a finance specialist back in 2010. Now that I was immersed full-time in my Network Marketing business I felt a lot of pressure to make it work and keep the momentum going in my team. Yet in spite of all that pressure and fear that it might not work out I had an even GREATER fear and it was to have to go back to my J.O.B. with my tail between my legs so to speak. The thought of having to go back to my job and tell everyone that my business did not work out after all was for me far worse than any fear I had at the moment in my business. So think about what would happen if you don’t make it work in your network marketing business. Make that your fear and it will drastically change the way you look at the fear your trying to overcome in your business right now. The ability to rise above your fears and learn from your mistakes is what will set you apart in business. I have found that those who invest in themselves and are constantly increasing their knowledge and value become invincible over time. There are many ways you can become more valuable. One way is by tuning in every Monday to my weekly episode here at Tanya Aliza TV. In every episode of Tanya Aliza TV, I put together a really awesome resource that you can download and implement in your network marketing business. My goal is to show you how to overcome the fear of failure so you can live the life of your dreams which is what you were meant to do. I want to see you crush your fears so let me know in the comments below what your fear is and how you are going to relabel it. You could play around with it and come up with something funny. I’ll join you in the conversation. This is a really great training on getting out there, meeting new people, breaking the ice and learning what to say to people you meet for the first time. My friends Ray Higdon and Chris Carroll host this training. 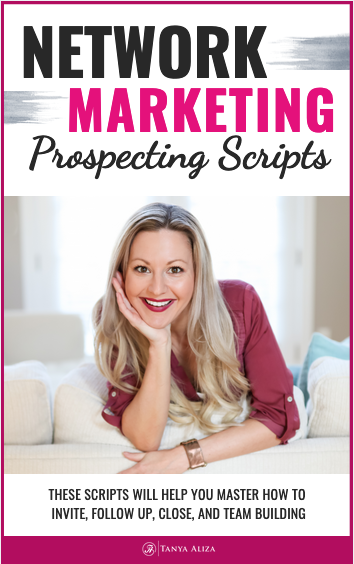 Listen to Todd as he covers step-by-step exactly how he went from being a sweaty, nervous wreck who spent nearly 18 months working 10+ hours every day with very little to show for it to being known as one of the Master Prospectors in the entire Direct Sales and network marketing arena. This was a pretty popular blog post that I did and the resource that I gave away with that post will help you with your confidence in your company and YOU. Check it out. Did you find some value in this training? Share what you loved the most in the comments sections below and I’d love to join in on the conversation with you. Wanna share this awesome post? If you have any questions or you want to connect more about how to overcome the fear of failure or rejection in business, please stay connected and drop a comment below.